The Palace of the Grand Master in the Old Town of Rhodes. Your crash course on the Isle of the Knights: its sights, beaches and some of its more unusual inhabitants. 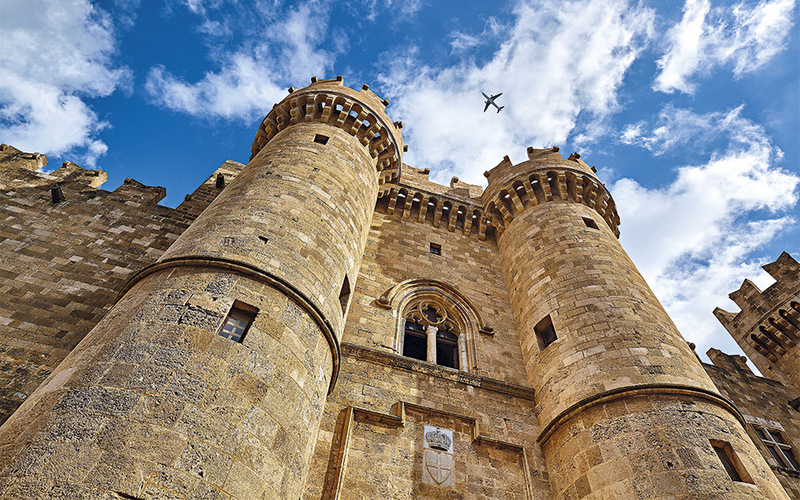 The medieval Old Town of Rhodes is no longer the target of attackers, although it may appear at times to be under siege by mass tourism. This UNESCO-protected World Heritage Site combines vestiges from a glorious past – Byzantine temples, Crusader-era buildings and Ottoman mosques – with a lively present. On its streets, you expect armored warriors, mounted on their horses, to turn up at any moment – and the feeling intensifies once you’re in the Palace of the Grand Master, which was the order’s headquarters. The fact that it was rebuilt almost from scratch by the Italians (many parts of the original building were destroyed in 1856 following a massive explosion in a gunpowder storeroom) takes nothing away from the feeling you’ll have of being transported back in time. The classical city of Rhodes was founded in 408 BC on the site of present-day capital of the island by three towns – Ialyssos, Kamiros and Lindos – all acting together. All three of these ancient towns are now archeological sites which you can visit; Lindos, with its acropolis, is the most famous. Each year, countless eyes gaze in awe at its temple, erected in the 4th c. BC in honor of the goddess Athena, and the Crusader-era castle that was subsequently built. The village, with its Cycladic architecture and its beautiful kapetanospita (traditional sea captain’s houses), is equally popular. Tycoons and politicians, Hollywood artists and rock stars have all been strolling through its alleys and swimming at its three beaches. 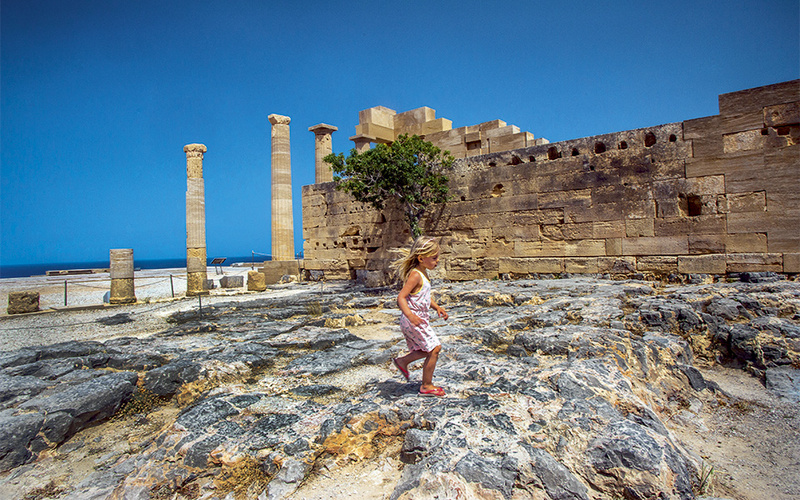 And despite it being a tourist hotspot, you can’t help falling in love with Lindos. The defensive structures that knights built include more than the famous fortifications of the Old Town and of Lindos. You’ll find the fortresses of Monolithos and Kritinia on the western part of the island, and those of Feraklos, Archangelos and Asklipeio on its eastern side. Most of these spots were also fortified in antiquity or the Byzantine era as well, since they are the most strategic points of this spearhead-shaped island. It goes without saying that they all offer spectacular views. Locals suggest visiting Monolithos Castle at sunset, but you can also enjoy the sight from the Castle of Kritinia, where various events, including a medieval festival, are held. What’s the best beach on the island? Chances are that every local you ask will give you a different answer. With a 253km of coastline, there’s plenty of variety. Some people prefer rocky coves where they can dive off boulders or outcroppings, while others opt for sandy beaches. 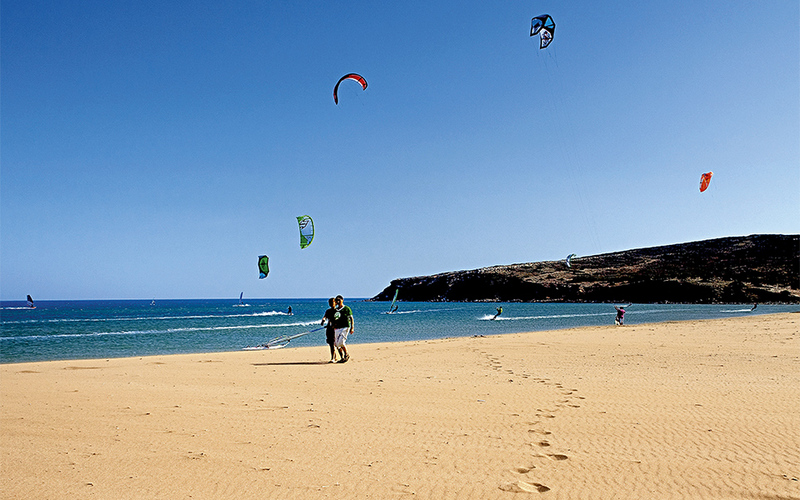 A whole other group of beachgoers cares as much about the wind as the sea, and seeks out places like Prasonisi, whose strong westerly winds make it ideal for kite-surfing and windsurfing. Located on the southernmost point of the island, it’s technically an island in itself, with just a strip of sand connecting it to Rhodes. The sunset is particularly scenic here. The insects fly and feed at night; during the day they cover tree trunks, plant leaves and rocks, creating a mesmerizing spectacle. 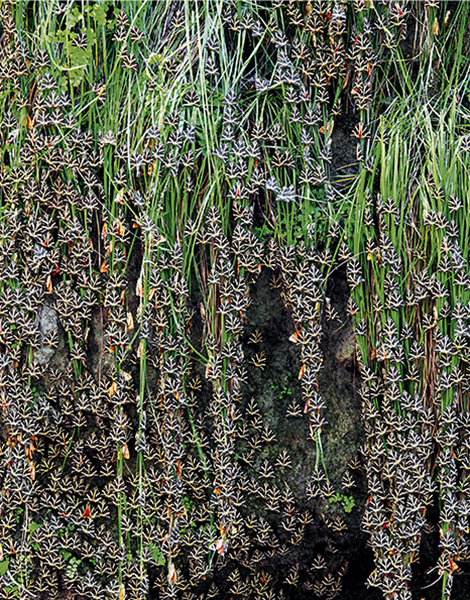 The Valley of the Butterflies is a park of exceptional natural beauty. 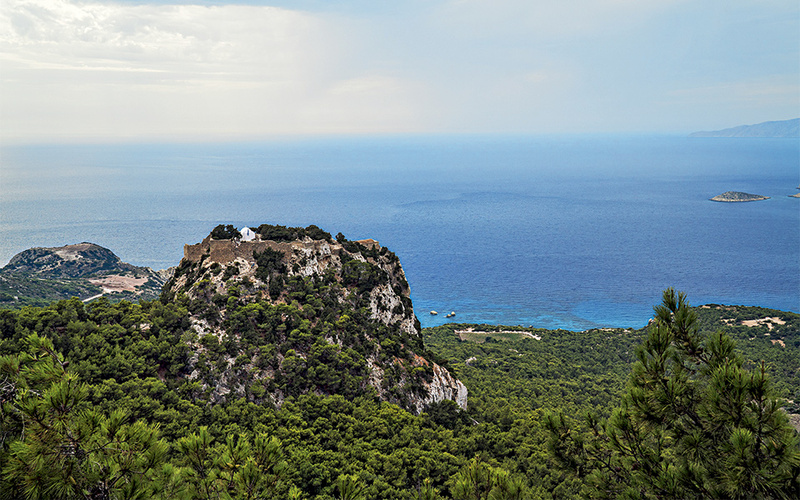 Rhodes is an enchantingly verdant island, with many areas of rich vegetation and natural beauty. One of the most famous of these is the Valley of the Butterflies, named in honor of the Panaxia Quadripunctaria, a member of the Jersey Tiger moth family that looks very much like a butterfly. 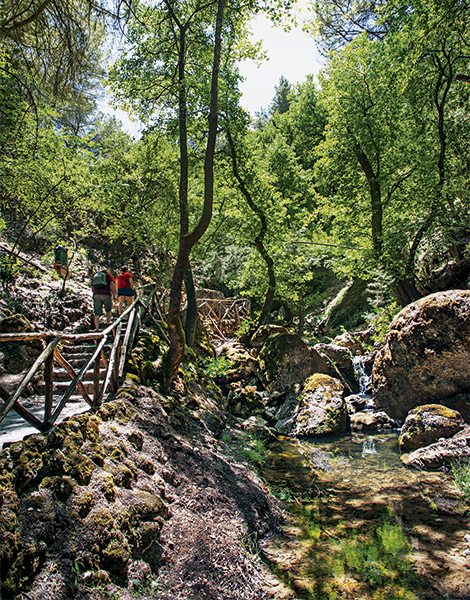 They gather in great numbers here in the canyon of the Pelekanos River, 25km from Rhodes Town. You’ll see them on rocks, tree trunks and leaves and branches rather than in the air: the moths are nocturnal and sleep during the day, conserving their energy. In previous decades, the disturbance that visitors caused significantly reduced the insect population, so now there are rules to ensure peace and quiet and venturing off the designated paths is prohibited. The lepidoptera come to this canyon in June and migrate to their nesting areas in September. Petaloudes, or the Valley of Butterflies, as it’s called, has three entrance points, each with a café, and the walking route has a total length of 1km (or 1.3km if you keep going until the uninhabited 19th-century monastery of Kalopetra). There are paved footpaths, small bridges and pools of water, as well as shops, a restaurant and a small natural history museum. The mascot of Rhodes, the small fallow deer, whose likeness in bronze graces the columns at the entrance of the port, can be spotted here and there on the island. 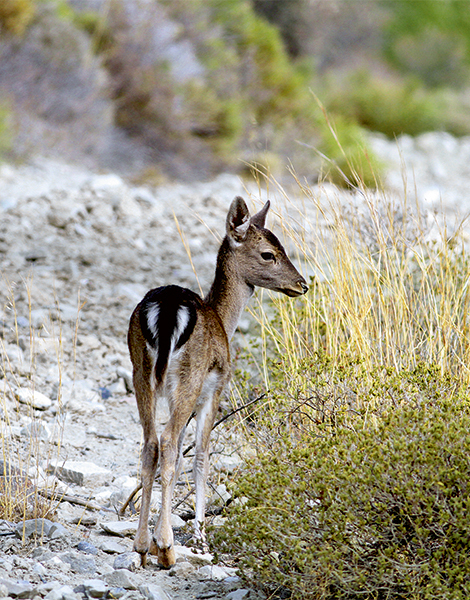 The deer live in the wild on Mt Profitis Ilias, in the area around Apolakkia Lake, and in the island’s forests. It remains unclear whether the deer were brought here by the Knights or not; likewise it’s not known if the Italians reintroduced the species during their occupation – some accounts suggest this happened after the native population was hunted to extinction during the Ottoman period. In any case, they have reproduced and their number is considered healthy. 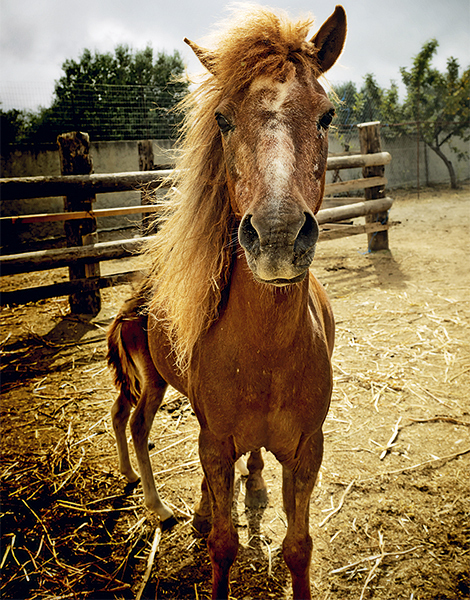 A much rarer animal that lives here is a protected species of small horse that comes from an ancient breed. The horses live in a special space run by the Phaethon Club (Archangelos, Tel. +30 697.745.3207): just nine of them remain. 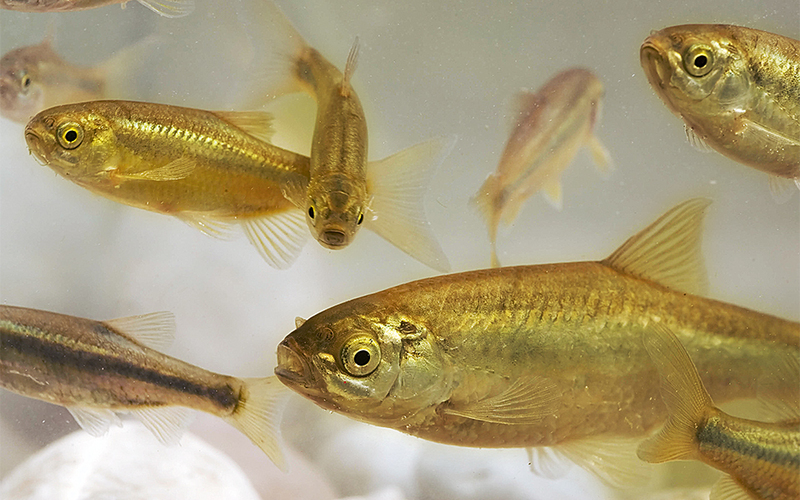 The freshwater fish called gizani, which can be found in the Fasouli Springs in the village of Psinthos, in the reservoir of Eleousa, at the Rhodes Aquarium or (if you’re observant) in the island’s streams, is somewhat less photogenic. There’s nothing special about it, except for the fact that it doesn’t live anywhere else in the world.